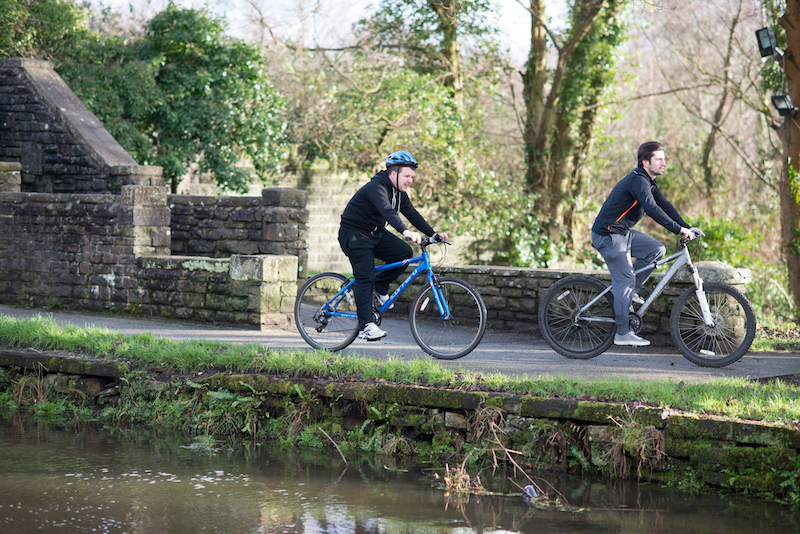 Two young adults with autism are participating in a 60-mile Cardiff to Swansea charity cycle ride to raise money for some specially adapted bicycles for people with disabilities. Chris Rogers, 24, and Kristian Coote, 23, who are supported by national disability charity Walsingham Support, are saddling up their bikes for the ride, which is taking place on Thursday 10 September 2015. They will be joined by 12 members of the Walsingham Support team, who have organised the Forge Ahead Cycling Scheme fundraiser to raise £11,000 to buy three bicycles. Matthew Bailey, organiser of the event and a Walsingham Support Locality Manager, said: “We’re absolutely delighted that Chris and Kristian are taking part in the bike ride and helping us raise money. They both really enjoy cycling and are supported to do it regularly. After the fundraiser, Mr Bailey plans on organising a second bike ride to raise money so Walsingham Support can develop a bike hire scheme for people with disabilities in Swansea and the surrounding area. The fundraiser has already attracted support from businesses including Day’s of Garngoch, First Choice Housing Association and Tata Steel. “We are well on our way to reaching our target, having raised over £5,000 from internal and external contributions, but any donations and messages of support would be fantastic,” added Mr Bailey. Walsingham Support is a leading provider of highly personalised support for people with learning and other disabilities and is particularly skilled in supporting complex needs. More details about Walsingham Support are available at www.walsingham.com. Be the first to comment on "Young adults with autism raising money for charity"